The RFC Mini-cast – 060: When and why should you buy Transformers direct from Japan? This week on the RFC Mini-cast: John, Brian, Don and Diecast review Transformers Masterpiece Optimus Primal! This week on the RFC Mini-cast: John, Brian, Don and Diecast analyze EVERY slide from the TFCon 3P panel! Part 2 of 2! 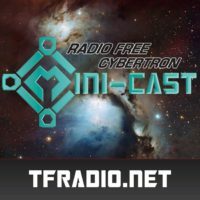 This week on the RFC Mini-cast: John, Brian, Don and Diecast analyze EVERY slide from the TFCon 3P panel! Part 1 of 2!